Our salami and charcuterie range features delicious Italian and Spanish favourites. 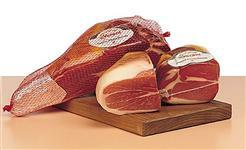 Made using the finest quality ingredients these meats are perfect for enjoying on their own or to liven up a recipe. Pancetta and Parma Ham will add authenticity and wonderful flavour to Italian cooking and salami is a lovely alternative sandwich meat and really tasty with cheese.